We offer the following Security Services that are listed below. All Security Officers whether unarmed or armed have arresting authority. 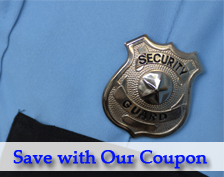 Email us today to request security services that exceed your expectations and excels above the competition. I look forward to speaking with you regarding your specific security needs.